For a decade, the Kingdom of Saudi Arabia is the top destination of Overseas Filipino Workers (OFWs) and other expatriate workers around the world. This 2018 the Kingdom is imposing major economic overhaul to reduce its dependence on oil revenues. Hence, five percent of Value Added Tax (VAT) is implemented that greatly affects expat workers together with the OFWs. 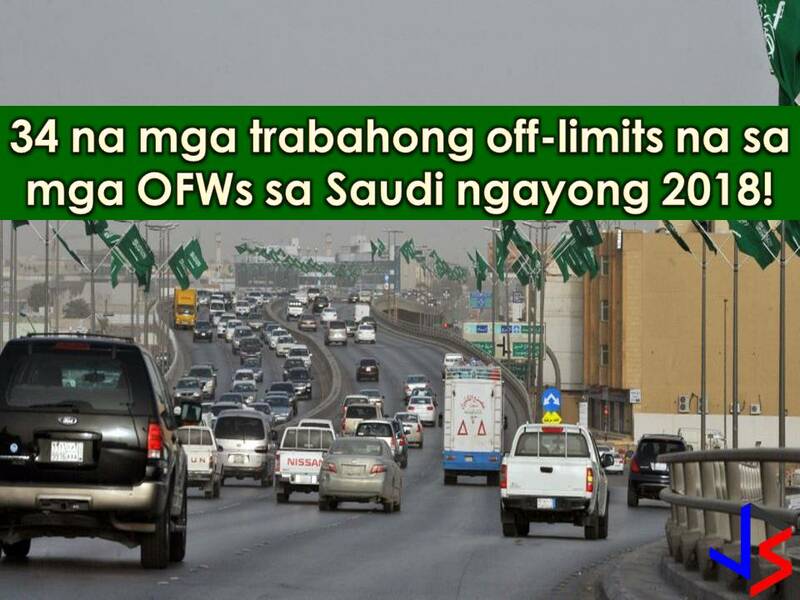 Nowadays, VAT is not only affecting OFWs in Saudi Arabia, but they are also affected by the Saudization where foreign workers are no longer accepted in certain jobs or professions that are now reserved for Saudi citizen only. It is reported that by the end of 2018 many sectors will be fully Saudized under the campaign to replace at least 30,000 expats in Tourism, retail stores, and shopping malls. This 2018 so far, here is the compilation of jobs or professions that OFWs or other expats in the Kingdom can no longer apply for. This is based on reports circulating on the internet. While others are confirmed, some of this needs a thorough verification. Clerks in government relations and grievance departments. Read More: No more Filipino and Expat Workers in Saudi Arabia Malls? On the other hand, the Ministry of Labor and Social Development, Khaled Abu Al-Khail, confirmed that the decision regarding limiting work at car rental outlets to Saudi nationals will start on March 18. But the Ministry of Labor (MOL) said expat workers are still needed in huge construction projects such as entertainment cities and construction in the Red Sea.